IRISH EYES Saoirse Ronan, left, plays an Irish immigrant in New York who makes waves on both sides of the Atlantic. One reason Brooklyn is among the best films of the year is that it makes an eloquent argument in favor of the classic movie-studio style without being a slavish pastiche of the way movies were once made. Saoirse Ronan plays Eilis Lacey, key to the beauty of Brooklyn, director John Crowley's adaptation of Colm Tóibín's novel of the same name. Eilis is a determined, intelligent Irish girl who immigrates to New York in 1951 with the help of a priest named Father Flood (Jim Broadbent). Fresh off the boat, she finds work at a fancy department store and learns bookkeeping at night. Eventually, Eilis meets Tony Fiorello (Emory Cohen), an Italian-American who she falls in love with. After a year acclimating to Brooklyn, Eilis has to return to County Wexford because of a family crisis. Back home, she's a new and confident woman, and gains the attention of a propertied young man James (Domhnall Gleeson). Crowley's use of unbraced camera in scenes of emotional conflict—the slight shake to give immediacy—refreshes the classic-era movie studio compositions and gives them a feel of reality. The harmonious palette of creamy, balanced colors keep you rapt. Crowley seems to believe that a movie about Ireland and the Irish should have the color green in abundance, and not just to complement the colors of his red-headed, pale-skinned star. Brooklyn isn't about nostalgia; it's a lived-in past, and you can observe things we're better off without, such as a week in steerage class on an ocean liner with rotten food and shared bathrooms. The film honors its namesake borough's past, but there's a lesson for the present: a gentle reminder that many of us are descended from the kind of immigrants who are feared and denounced by politicians in America today. Our good luck is the fruit of their sorrow and homesickness. 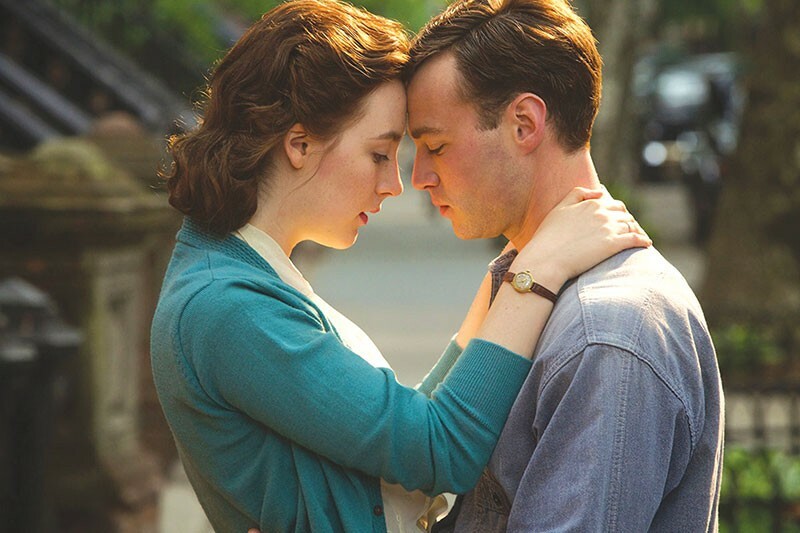 'Brooklyn' is playing at Summerfield Cinemas, 551 Summerfield Road, Santa Rosa. 707.525.8909.